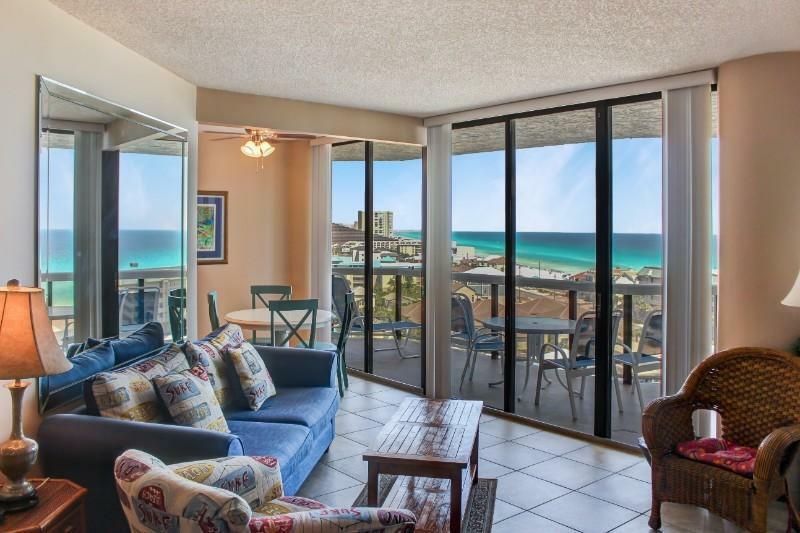 Incredible emerald green gulf view from this east side / pool side unit. On a clear day you can see all the way to Panama City, unbelievable. Many renovations have been done. 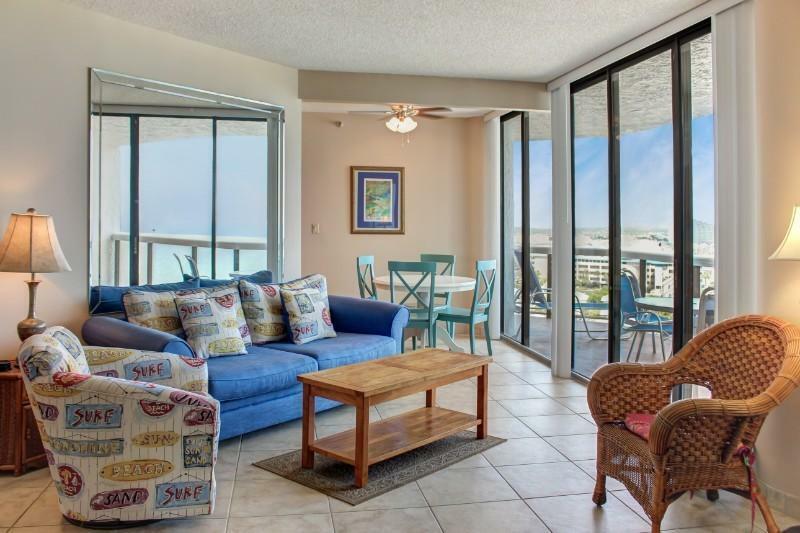 This unit is being sold furnished and is turnkey rent ready for fabulous vacation rental income. This unit is perfect for a primary residence, 2nd home or a vacation rental property. 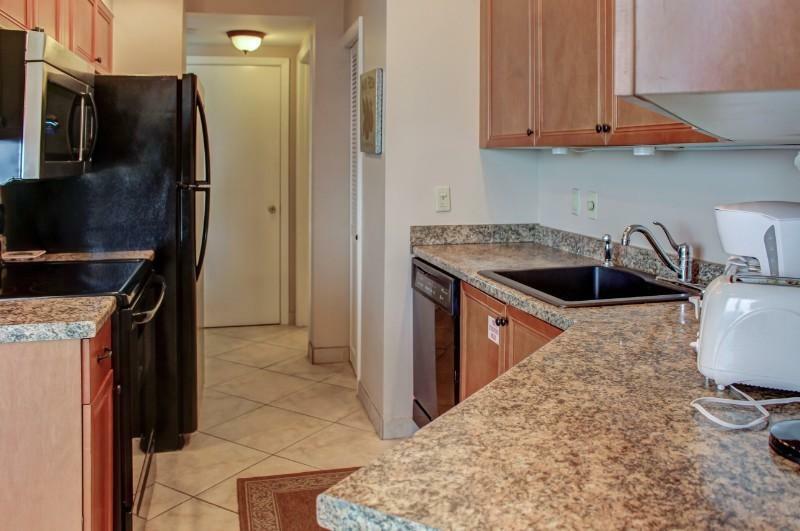 The unit is being sold fully furnished and Surfside has fabulous history of repeat guests, thus gross rentals create a great return on investment. (see more)Surfside Resort offers all the amenities as any five star resort, wifi hot spots inside and out, large pool deck overlooking the gulf includes large heated pool, kiddie pool, 2 hot tubs, enclosed bath house (with showers & saunas), free fitness center, lighted tennis courts, basketball and shuffle board, pool side Tiki Hut and beach bar which serves sandwiches & drinks. The resort also has an in-house restaurant, an events room located adjacent to the restaurant and available for weddings, parties, or business meetings; as well as a massage spa and hair/nail/facial salon. There are two parking garages, one for owners only, and one for guests, so covered parking is always available. Surfside Resort is fabulously built, concrete and steel Cat.5 building and very well maintained by its active HOA/Board of Directors. There are on-site maintenance and management offices, resort security and a full service front desk located in the beautiful lobby to assist owners and their guests. 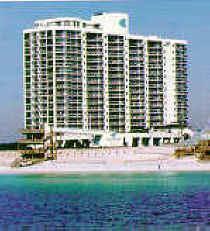 Surfside is located in Miramar Beach, a much less crowded/ lower density area than in the heart of Destin. This fabulous location is walking distance to many of Scenic 98's most notable destinations.